Malmö is a creative vibrant city. It is Sweden’s third largest city with a young population of 322 000 inhabitants descending from 170 countries. Malmö offers a wide variety of exciting possibilities. You can experience the alternative borough Möllevången with pubs, bars and cultural venues, the beach at Ribersborg with the beautiful Kallbadhuset (a bath built in 1898, where you may enjoy saltwater swimming as well as a coffee), the western harbor where you find Turning torso, the highest residential building in Europe and a nice boardwalk by the waterfront and the outdoor pubs and restaurants at Lilla Torg as well as shopping for everyone. 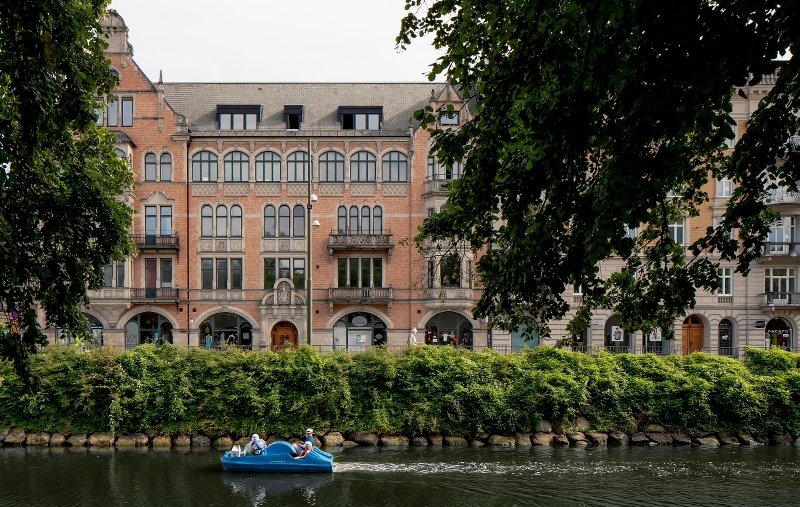 In Malmö you’ll find a rich cultural life within all art forms – a dynamic free cultural scene within theatre, dance, music, art, comics etc. and also institutions such as Malmö Opera, Malmö Konsthall (Art center), Malmö Muséer (the city museum) and Stadsbiblioteket (City Library). On top of this, Malmö has a new fantastic Concert Hall called Malmö Live. The city arranges a lot of free culture events for the population throughout the city through Sommarscen Malmö and the city’s big Malmö fest Malmöfestivalen. There are a number of organizations working within the film area in Malmö for example Filmcentrum Syd. Every year around 10 film festivals are arranged: the biggest ones being: Nordisk Panorama Film Festival, MAFF Malmö Arab Film festival and the children and young people festival BUFF. For those who wish to focus on documentary film the Doc Lounge is the place to be for brillant screenings. There are two art house cinemas in Malmö: Cinema Spegeln in Stortorget and the new cinema Panora in Möllevången opened in 2015 and run by Folkets Bio Malmö. Malmö’s new Film Cluster is situated in close proximity to the new cinema where a number of film organizations and productions companies are based such as Folkets Bio Malmö, Film i Skåne, Filmcentrum Syd, Cineskåne, festivals such as IFEMA, Latinamerika i fokus and Nordisk Panorama Film Festival. Financing Forum For Kids Content, Nordic Games, Arabic Game Jam, The Conference, Malmö Filmdagar, Nordic kids Media festival, Nordisk Panorama Forum and Nordisk Panorama Market and for the first time in 2015 MAFF Market & Forum. The city of Malmö is currently investing to develop the film area – within film- & TV production, fiction tourism and more.